I want things to go my way. I want to come out on top. I more wins and fewer losses. I want my problems to disappear. I want to be profitable. I want to be successful. But the follow-up question is just as important. This one stumps people. But the answer is usually something about getting peace of mind, satisfaction, happiness and a feeling that all is as it should be in the world. What if you could have that now? It starts by recognizing that that the quality of your day – the feeling of getting what you want – is a direct reflection of your thoughts. You are about to go into a high-pressure meeting. You know what you need to do to come out on top. Of course, you want to win, you want to be respected and your agenda dictates that the meeting must unfold in a certain way. Already your mind has created a definition of winning, of GETTING WHAT YOU WANT, that involves you playing your part and others in the meeting playing the part you have imagined for them. If things don’t go exactly the way you envision, you are disappointed. You may feel disrespected. If they do go your way, and someone else loses in the process because they must bow to your agenda, then the victory of that win is likely to fade quickly, leading you to seek another win. What if you go into that same high-pressure meeting with a different mindset? A mindset that views the meeting through the lens of all parties winning – even if the way to do that was not part of your original agenda? Go into the meeting seeking the best solution for everyone and watch what happens. Up leveling your mindset allows you to see new possibilities and get better results. Your mind will begin to entertain the thought that there could actually be a solution in which everyone wins. As a result, you will listen more intently. You will ask different questions. You will be more genuinely interested in what others have to say, because they are an important part of your solution. You will show respect others, and in so doing receive respect. If you hold the intention of a meeting that everyone walks away from feeling better than when it started, you’ll go into that meeting with a quiet confidence, faith, trust and patience. You’ll take comfort in the wisdom of the group. You’ll start to find you are NOW getting what you want. Magical even. It’s no wonder since we’re conditioned to believe that we have to do something to get what we want, whether that’s money, respect or peace. Think about whatever your mind if most occupied with and ask the question, What do I really want? And then, what would that give me? Take those questions to a higher level, one in which everyone involved benefits in some way. Feel the ultimate end state as though it has already happened, even though you have no idea how it will happen. Can you rest in the certainty that things will happen in everyone’s best interest? Then as you go about your day or face this situation, let your actions flow from the state of mind you wish to achieve. Over time, you’ll realize that instead of having to see it to believe it, what you see will be a direct reflection of what you believe. Allow yourself to believe in the highest possible good for everyone, let go of how it will happen and watch miracles unfold in your life and those of everyone around you. You won’t have to do anything to achieve that peace of mind, satisfaction and a feeling that all is as it should be because you already possess it. 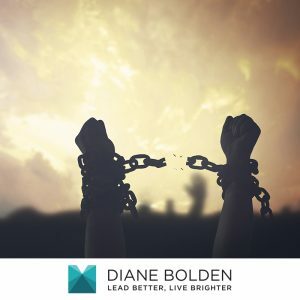 This process is just one of the many techniques taught in The Pinocchio Principle Unleashed: The Real Leader’s Guide to Accessing the Freedom & Flow of Your Authentic Genius to help you get the results you want with less stress and greater fulfillment. This exclusive 13-week leadership development program kicks off the week of April 1st and is limited to the first 25 people who enroll. Reserve your spot today! Last week I did a Facebook Live video on how to overcome the three biggest obstacles to achieving your intentions, visions and goals. The below article elaborates on some of the points I made in that video. If you haven’t had a chance to see the Facebook Live, I encourage you to check it out. It’s only my second one – something I’ve been inspired to do as a way of fulfilling my own personal vision for 2019. What do you find easier – dreaming big, or finding a way to make those dreams come true? Most of us have more difficulty with the latter. If you don’t, you may not be dreaming big enough. I remember a time when one of my clients and I were musing about what makes realizing those dreams and visions so difficult. We felt that the toughest part is connecting the vision to reality: Identifying and executing the steps that must be taken to get from here to there. For years, I was convinced that having a vision and goals meant perceiving a clear and specific picture of what was to come and creating a plan that would ensure that certain milestones were met at designated intervals. I was taught that goals had to be specific, measurable, and time bound (and have spent a good part of my career teaching others the same). I would spend a significant amount of time wordsmithing these goals and creating something similar to a detailed project plan as though I could bend reality to my will. And then life would happen and I’d get exceedingly frustrated when things didn’t fall into place the way I had planned. The part of us that wants to identify a course of action that mitigates risk and controls all the variables is akin to a manager, whose responsibility is to plan, direct, organize, and control. The challenge is that preconceived ideas of what must be and all that has to happen to bring it to fruition can never take into account all the unexpected twists and turns that each day throws at us. So, the manager in each of us needs to take its orders from a higher authority. This higher authority is our inner leader. The leader lives in the present, takes its cues from its inner and outer environment, and speaks to the hearts as well as the heads of its people. It is often that part of us that rises up and recognizes when we must make a change in course in order to realize our greater visions. 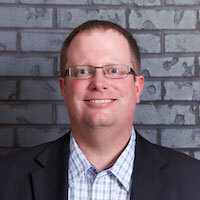 It blends concrete data with intuitive hunches and moves much more fluidly. The manager in each of us often wants to fix things and tends to place more attention on what is wrong than what is right. It is so concerned with problems that it has a way of identifying with them and unwittingly propagating them. The manager would have us set goals about the behaviors we want to stop, and the things about ourselves that aren’t good enough. These goals almost always fail because they lead us to identify with the very state we wish to rise above. 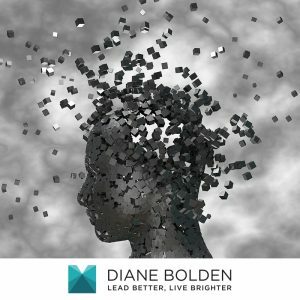 We enter into them from a state of lack, and though our behaviors may temporarily change in accordance with detailed plans we have outlined for ourselves, our thoughts about who we are and what’s wrong keep us tethered and ultimately lead us to act in ways that reinforce old habits and patterns. The leader focuses on possibilities and speaks to that part of ourselves and others that has the capability and potential to achieve it. It sees through the eyes of someone who has already realized their goals and visions rather than identifying with the experience of not having been able to do something in the past. 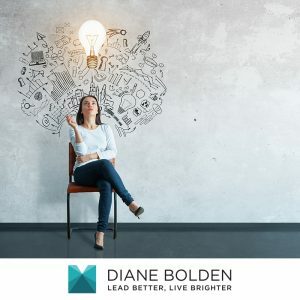 The leader in each of us knows that action follows thought and invests time in identifying limiting beliefs and trading them for something more empowering. Rather than moving away from an undesirable place, it focuses on moving toward that which it desires to create. 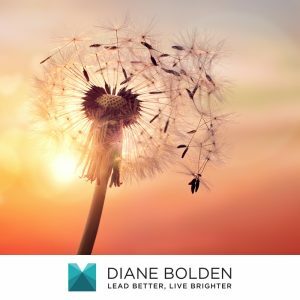 With the leader in charge, the manager’s willfulness is balanced with willingness – willingness to change and adapt even the best laid plans, to reach higher, and to trust that something greater than ourselves will help us get where we most need to go. 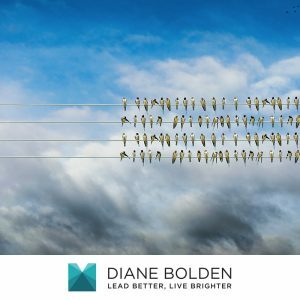 Interested in more on how to bridge the gap between vision and reality and follow the cues of your inner leader? The Pinocchio Principle Unleashed: The Real Leader’s Guide to Unleashing the Freedom & Flow of Your Authentic Genius is coming soon! Registration will be limited to 25 people, and I’m in the process of hand selecting participants. 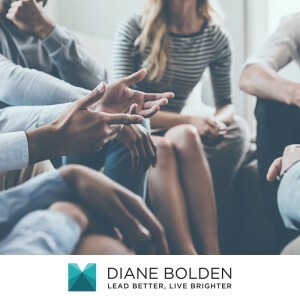 If you would like to schedule a complimentary consultation call to see if you (and/or others from your organization) are a good fit, contact support@DianeBolden.com. One day I had the opportunity to listen to Marshall Goldsmith, one of America’s finest executive coaches speak. Though the man has a number of incredibly insightful things to say on any given moment, one thing he said that day made an impact on me that I still feel years later. The audience was eager to benefit from his wisdom. He took the stage and paused a moment before speaking. Then he told us to hold onto our seats while he told us something we probably didn’t want to hear. I remember my heart sinking when I heard that news, though I knew in my soul what he was saying was true. He went on to explain that once we grasp this little piece of knowledge we will be so much more productive, effective and creative. His wise words echo in my mind when I feel I have become a slave to my productivity principles. How many times did you feel that everything had to be in its place before you could really move forward – start on that project you have been putting off, write that book, return those calls, launch that campaign? And how many times did you allow your need for perfection to keep you from acting at all? Now, don’t get me wrong – I do believe order is important. But it must be in service to our larger purposes, not a substitute for them. Perhaps there is wisdom in a bit of chaos. Maybe if we weren’t so preoccupied about planning out every little detail and needing to feel “in control” of it all, we could let go and allow our inner knowing to cut through the piles and tell us exactly what we need to focus on in each moment, whether that be a project or a person. Perhaps there is inspiration just waiting for us to create enough space for it to get through. We cannot do this by becoming busier, hunkering down and trying harder to do that which may not even need to be done at all. 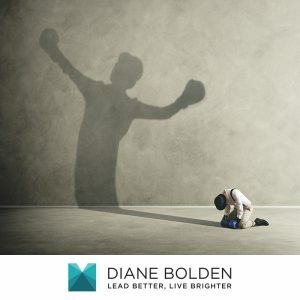 The inspiring, confident, courageous voice of a leader often starts as a small still voice that competes for our attention among all the other things we think we need to be doing. How will you quiet yourself for a few moments today to hear what it is telling you? In fall of 2010, I was interviewed by an Arizona Republic reporter for an article on how to best position yourself to move from being an individual contributor to becoming a manager. As I prepared for the interview, I began to reflect on the question of what differentiates successful leaders from struggling managers. 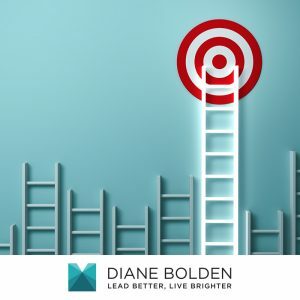 Among the several factors I could identify, one loomed larger than any of the others – your MOTIVATION for wanting to become a leader will make all the difference in the level of success you will have. Many people believe that becoming a manager is the next best step because of the increased pay, prestige and upward mobility it will bring. 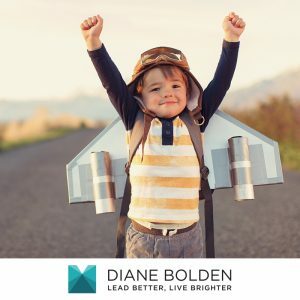 And while it is often true that such a promotion will allow you to enjoy these things – if that is your only reason for wanting it, you will do yourself, the organization you work for, and all the people with whom you will interact a huge service if think a little more about your options before you charge full speed ahead. Moving into management requires people to shift their focus from achieving individual success to achieving collective success. And the determining factor of that success changes from what you are able to do on your own to what you are able to accomplish through others. If your main interest is your own career mobility, you will have difficulty gaining the trust and respect of others that is necessary to influence and enable them to succeed. And if they do not succeed, neither will you. Wanting them to succeed is not enough. You must be committed enough to their success to take the time to coach, mentor and otherwise support them to reach their career goals. If this does not appeal to you, it will feel like drudgery –something you must do that takes you away from all the things you would rather be doing. But if this work does appeal to you, every day will offer new opportunities to find meaning and fulfillment in your work – by helping others discover themselves to be greater than they initially realized, and working toward something bigger than yourself. Moving into management requires people to shift from the tactical and operational to the strategic. That means that all the things you were good at as an individual contributor will no longer be sufficient to enable you to succeed as a manager and a leader. You will need to enable and rely on others to do those things so that you are freed up to do more strategic, big picture things – things that will require you to go out of your comfort zone. Your focus must shift from the workings of your individual job to how all the jobs in your department complement each other and what you can do to allow the work of your department to best mesh with other departments and contribute to the organization as a whole. The problems you’ll address will have a larger span and impact those you were previously accustomed to working on and you will need to collaborate with people you may not have otherwise had to interface with. Additionally, a large part of your job will be envisioning and helping to create a better future – one that will allow the organization as a whole to succeed. Identifying and addressing opportunities that are coming around the bend and matching them to people with the talent necessary to seize them will become a vital part of your work. It is not uncommon for people in management positions to find that these jobs don’t feel like they’re all they were cracked up to be. If you are one of them, it is important to realize that this doesn’t mean you failed. 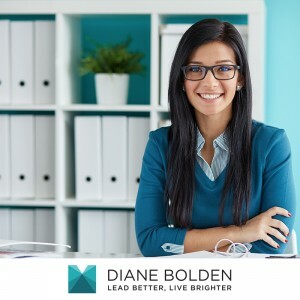 It simply means that you have succeeded in getting that much closer to finding work that is aligned with your true self – work that will not only bring you satisfaction and fulfillment but also the opportunity to make a vital contribution. Get busy identifying what you are truly motivated to do. Many organizations have technical tracks that offer the same (or more) upward mobility and financial reward that management tracks do. Pay attention to the opportunities that have beckoned to you in the past – even the ones you thought were too crazy to entertain. If you have a recurring dream of doing anything other than what you are doing now, give it more credence. It just may be the ticket that allows you to find the job of your dreams – and the chance to exercise your own distinct form of leadership, by doing what you were truly meant to do. I have come across the above quote often and pondered it reflectively. It inspires me to think big – contemplating all the many things I have dreamed of creating or being a part of. I often feel compelled to make a list – and have done so many times. I encourage my clients to do this as well. But the most interesting and show stopping part of that quote for me is the idea of “failure”. It’s easy to think of shooting for the moon when the idea of crashing down to the ground doesn’t enter the picture. We can dream and scheme all we want, but in order to make our dreams real, we must take action. And when we do, this idea of failure seems to have a way of creeping in despite our best attempts to move forward in spite of it. Failure means different things to different people. But I think the most debilitating thing about the idea of failure is having to experience or endure some kind of pain – pain of rejection, embarrassment, loss, financial ruin – not to mention its actual physical variations. The interesting thing to me about pain is that – thankfully – it is usually finite. It comes and it goes. And while we don’t always have any control over whether we experience it, we do seem to play a part in how long it lasts and how uncomfortable it gets. As a kid, getting immunizations was terrifying. I remember how worked up I would get before the needle even came close to my skin. And I’ve watched my kids do the same thing – even screaming or wailing before contact is ever actually made. But a few seconds later, the injections are completed before the kids even realize it. They get off the exam table and immediately go onto other things – except perhaps when one of them needs a little more sympathy and deliberately focuses on the site of the shot and the blood on the bandage – prolonging the unpleasant experience and making it into something far more painful than it really needs to be. I think we do the same thing when we contemplate the pain that accompanies what we believe would be “failure”. Our minds have a way of making it far more ominous than it ever is in reality. And if we happen to find ourselves experiencing it, we can also fall into the trap of unwittingly making it more uncomfortable than it really needs to be. But we can also exercise resilience and determination in our ability to bounce back and focus on something that will allow us to move forward in spite of an otherwise unpleasant experience. Because what it really comes down to is what your experience – regardless of the way it turns out – has given you, rather than cost you. People who have accomplished extraordinary things in the world are the first to tell you that what many refer to as “failure” has plagued them time after time – and many will tell you those experiences were prerequisites for their success. What differentiates them from those who allowed “failure” to defeat them is that they picked themselves up, figured out what they could learn, and moved forward armed with a new awareness, a new understanding, and a renewed commitment to their greatest dreams and visions. I think we all need a shot from time to time. A shot of humility, compassion – and humor. A shot that will only serve to make us stronger, more determined, and far more resilient than we were before. What great thing can YOU achieve today, knowing that you simply cannot fail? For more on the fallacy of failure, check out Seth Godin’s post on How to Fail. Like many, I was brought up to think that things happened in a linear way – first this, then that, one building block upon another in a specific order, cause and effect. I have since realized that when one has a larger vision and experiences this vision as though it has already happened, a chain of events is triggered that results in what may appear to be a disjointed series of events that is in reality very connected. This can be compared to watching a movie of a glass shattering in reverse motion. The pieces come from all directions, seemingly unrelated, to assemble into a perfect whole. Each piece is absolutely necessary, in and of itself incomplete and incomprehensibly connected to a bigger picture. There are ups and downs and what may feel like divergent paths from that which we may have previously anticipated. However, these seemingly divergent paths are absolutely necessary for us to experience the totality of our vision. Sometimes a part of the healing process involves the experience of pain, or other symptoms. While we may point to these as signs that there is illness present, we could more accurately see them as evidence of our healing. We may not realize the significance or relevance of these experiences until much later, when looking in retrospect we become aware of the distinct reason that we needed to endure any given challenge, setback, delay, or what originally felt like an irrelevant nuisance. These obstacles give us a greater perspective on who we are, a larger appreciation for where we have been and where we are going, and a compassion for others who experience the same things we have along the way. In dealing with these little challenges, we realize that we are far greater than we thought we were. And as leaders, we can help others appreciate and leverage their own chaos as well. Are you dreaming big enough? If so, you may often feel overwhelmed by the seeming magnitude of what lies before you. As we entertain dreams, visions and goals that seem so large that they become daunting, we must not be intimidated by the seeming length or difficulty of the journey ahead of us. I was reminded of this years ago on a skiing trip. After an hour or so, the years that had passed since my last skiing excursion no longer seemed significant and my adventurous side led me to a very difficult black run, full of moguls and steep angles. Once I embarked upon the run, I realized I was in way over my head. At that moment the temperature dropped suddenly and a fog rolled in that was so thick that I could not see more than three feet ahead of me. I began to panic. I wanted more than ever to reach the bottom of the slope and became more fixated on having the run behind me than on the thrill of the experience itself. As soon as my attention and focus went from the snow in front of me to the bottom of the steep slope, I lost control and came crashing to the ground, losing my skis and feeling the slap of the hard cold ground beneath me. I managed to somehow get up and put my skis back on, but before long my focus would shift and the same thing would happen again. It was only when I resigned myself to pay attention to what was right in front of me that my body knew how to navigate each mogul. When I let go of having to know exactly how I would get down that mountain and trust that I could make it a few feet at a time, I had everything I needed to succeed. I think that is how life is too. When we feel dismayed at not having everything figured out right off the bat, we can ask ourselves what we can do right now that will lead us closer to our goals and trust that we will be given exactly what we need to continue our journeys right when we need it. Sometimes conditions are not right for us to proceed full speed ahead, and circumstances take a turn that feel frustrating. Often the skills we need are those that can only be developed through a series of challenges that require us to move out of our comfort zones. We may see these events as setbacks and annoying diversions without realizing their perfect place in the larger orchestration of a course of events we are engaged in that has much greater implications than what we originally envisioned. Perhaps the whispers of our heart and the calls to greatness that we feel within our souls are essential components of a larger, collective plan that we each play a vital part in. As we rise up to play these parts fully and wholeheartedly, we can revel in the beauty of its mysterious unfolding. In the process, we will discover ourselves to be greater than we thought we were and use each moment of our lives to create something extraordinary for ourselves and others. One day when my kids were younger, they had a play date with some friends. I heard one of them telling the other that Santa Claus wasn’t real. My son, who was eight years old at the time, vehemently defended the jolly old man, with elaborate explanations of why something not easily proven was worth believing in anyway. I had to laugh, as I flashed back to one of my own experiences with a little girl in my neighborhood who made fun of me for believing that a fat man in a red coat actually came down my chimney every year. I was so mad that, when she wasn’t looking, I broke all her crayons and put them back in the box (and spent the rest of the holiday season worrying that I had just put myself on the naughty list). I have since learned that it is okay if everyone doesn’t believe what I do. And if he hasn’t already, my son will learn that too. But he is the one who taught me something that day. I was buoyed by his unwavering belief and faith in something he’s never really seen and inspired by his example. I can’t help but believe that those who trust in something magical will experience that magic in ways the skeptics will not. And I think the same is true in life. There will always be someone around to tell us what cannot be done. And there will also always be people who, upon being so told, will do it anyway. Their faith, determination, and belief in something they have yet to see will allow them to persevere until their dreams become reality. Trust, faith, and perseverance go a long way. In a world where much is uncertain and the old success formulas no longer seem to work, I believe it is more important than ever to trust in what we know to be true in hearts, even if our minds cannot figure it all out. It may go against what we have been conditioned to believe, see, and do – but perhaps this makes it even more important. To bust out of old paradigms that keep us from realizing our greatness, perhaps we need to stop questioning what is possible and start challenging our limits instead. As we do, we will begin to make manifest that which we previously only dreamed was possible and, through our example, show others the way to rise. Wishing you the happiest of holidays and a bright blessed New Year!